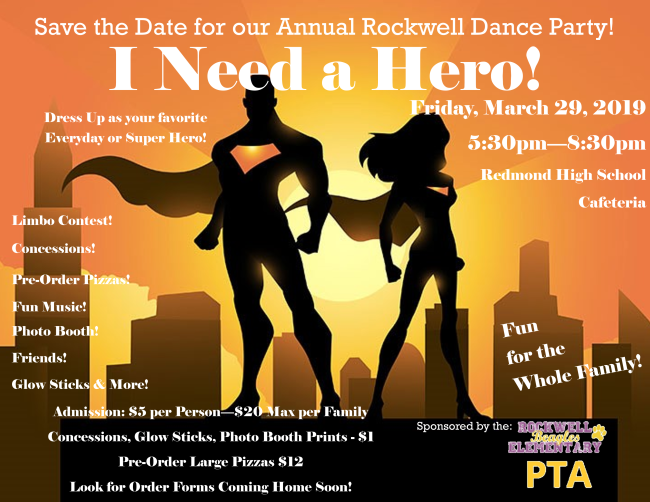 Save the date for our annual Rockwell Dance Party - Friday, March 29th from 5:30-8:30pm! There will be fun for the whole family. Pre-order your tickets and pizza here. Contact Veronica Nelson if you have questions!